The world of Pokie playing is an ever changing one, as is too the playing environments at which you can access and play every single type and category of Pokie machines that appeal to you the most! With that in mind we have put together the following article in which we are going to share with you the top 10 most interesting fact about playing Pokie games that you may not be aware of, so please read on for this article does make for some very interesting reading! 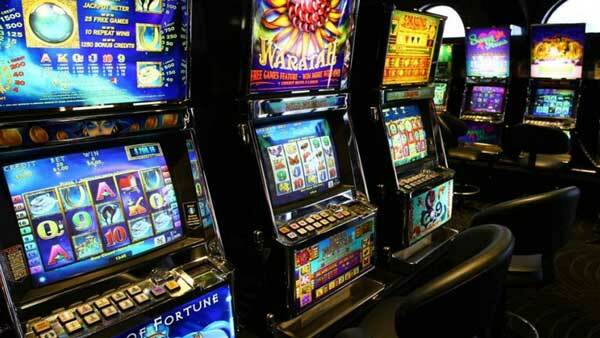 Pokies Have No Memory – Unlike some other casino games you can play such as Blackjack, Pokie games regain no memory of previous payouts awarded in regards to your chances of winning a high valued payout in a short space of time since a previous jackpot may have been paid out. As each spin is determined by a random number generator then you have a chance of winning multiple jackpot payouts or very high valued payouts in quick succession! Regularly Awarded Jackpots – Many players are looking for Pokie games that will have jackpots attached to them that are won regularly, and if it is those pokie games you are looking to play then the best ones to track down are those on which the jackpot is not huge in size. You will have a much greater chance for example of winning a jackpot worth 1,000 coins than you ever would have if the jackpot attached to any Pokie game you play is say 50,000 coins, so always double check the pay table of the pokie game you are playing to see just how high their respective jackpots are! Low and High Risk Pokies – Every Pokie game will have been designed with one of three different playing structures in place, they are low variance, medium variance and high variance pokies. For players seeking lots of spun in low valued winning payouts you should be playing a low variance Pokie game, however if you want to take more risks and play a Pokie that does not award lots of lower valued winning payouts then opt to play a high variance Pokie game instead. Bonus Games That Payout the Most – It will be pokie games that offer not only free spins bonus games but also pokies that have high multipliers attached to their free spins rounds if you want to play pokies that can payout the most when their bonus games have been awarded to you! Bonuses Do Not Affect Winning Chances – One question we are often asked by online and mobile Pokie game players is whether taking a casino bonus offer will see them having a much reduced chance of winning. Many players seem to think that whilst you are playing off bonus credits awarded to you then the operator of the site you are playing at will reduce the RTP’s of the pokie you play, that is simply not true as those operators have no control over the payout percentages offered by their Pokie games which are set in stone when they first go live! One Cent Pokie Games Available – One important aspect of playing Pokie games anywhere that you always do need to be aware of is that they will all offer a different range of staking options, if you want to play for one cent per spin then the way to do so is to play just one single payline per spin with the coin values set at one cent! 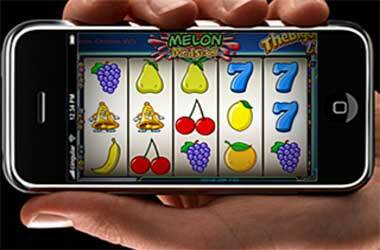 More Mobile Players than Online Players – You may surprised to learn that during 2016 the actual number of mobile Pokie players outnumbered the number of players who are accessing pokie games via an online gambling platform. That is why the vast majority of Pokie game designers now have lots of mobile compatible pokie games on offer to players! Winning and Losing Streaks – One fact of life that you are going to have to contend with when you do start playing pokie machines for real money is that you are going to be experiencing both winning and losing streaks. You will obviously never know in advance just whether you are going to have a winning or losing session playing pokies anywhere before you start to play and get stuck into playing them in a reel money environment, so try and be aware of the fact that if it appears not to be your lucky day when playing pokies on any given day of the week then perhaps you should stop playing and try again another day! RTP’s Affect Your Winning Chances – Each pokie game is going to be set to return a certain percentage of players combined stakes over the long term as winning payouts, however the payout percentage offered by each and every single Pokie game you will come across will vary. Therefore as a savvy Pokie player one thing you should do is to find out how high or low the long term expected RTP’s are on any pokie you fancy playing and then only ever get involved with actively playing those pokies offering you a higher than expected long term RTP. Pre-Determined Pick and Win Bonus Games – One final thing to keep in mind when you are playing a pokie game on which a pick to win style bonus game is on offer is that many pokies will have a pre-determined outcome of those bonus games. The way to tell is once the pick to win bonus game has been played off by you if the Pokie then does not reveal what was hiding behind the icons or locations you didn’t pick off the bonus game screen then that pokies more than likely has a pre-determined bonus game. Pokies that are completely random will reveal to you what was hiding behind each un-selected location on the bonus game screen once the bonus game has ended.